Habitat: Abundant throughout most of Britain and Ireland on roadsides, hedgebanks and at the edges of woodland. 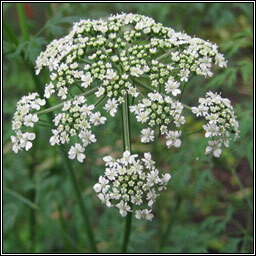 Long-stalked umbels of white flowers without bracts but with broad, deflexed and often pinkish bracteoles. Smooth shiny fruit. 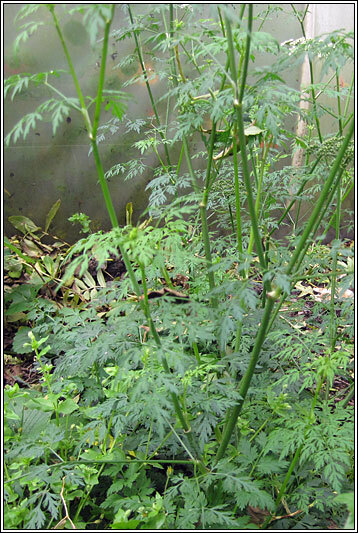 The fern-like, triangular, 3-pinnate leaves appear from September and over-winter. 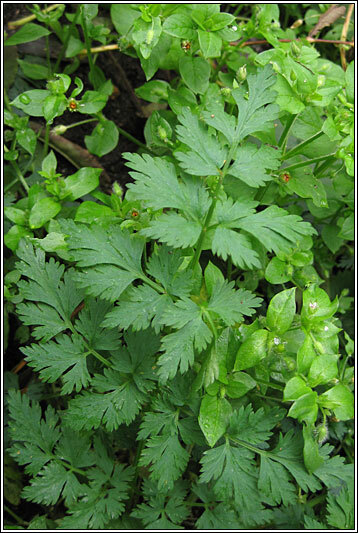 Similar: Fools Parsley, Aethusa cynapium. 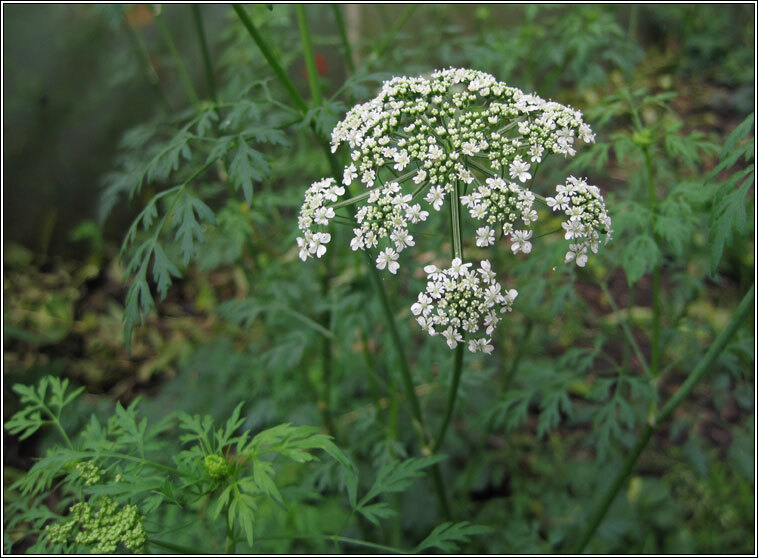 Smaller, flowering July-August.